There have always been believers who have denied and opposed the doctrine of the trinity. One particularly noteworthy group is the Quakers of the 17th century. The most famous member of this group is William Penn after whom the state of Pennsylvania is named. Selected excerpts from writings of these believers are presented. In regards to the Quakers, notice how their defence of the oneness of God was made by quoting the scriptures and not relying on intellectual arguments. Francis Howgill (1618? - 1669)- The Heart of New England Hardened Through Wickedness. This defence was written sometime in the mid 1600s; it is a response to a charge of the denial of the trinity by John Norton. Francis Howgill died in prison in 1668. 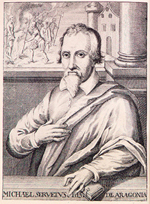 Michael Servetus (1509? - 1553)- Errors of the Trinity. Servetus wrote this work at the age of 22. It encompassed seven volumes. Michael Servetus was tried, convicted, and sentenced to death for opposing the trinity. He was burned at the stake on October 27, 1553. The following excerpt is a part of one of his many letters to John Calvin. William Penn (1644 - 1718)- Innoccency With Her Open Face. 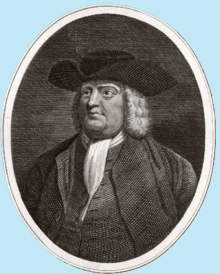 William Penn is best known for having founded the state of Pennsylvania; what is not as well known is the fact that he was a staunch Quaker. He was frequently arrested because of his convictions and religious beliefs. During one period of imprisonment, Penn responded to a charge of having denied the deity of Christ. Garfield Thomas Haywood (1880 - 1931)- The Victim of the Flaming Sword (Trinitarianism). Bishop G.T. 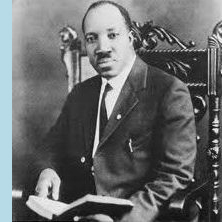 Haywood was a prolific writer and articulated the truth of oneness very well. This is an excerpt from the booklet The Victim of the Flaming Sword from the chapter entitled 'Trinitarianism'. "First concerning the trinity thou saith they confess the Father, Son, and Holy Ghost, yet they deny the trinity, and those to be three distinct persons, for confutation of this thou brings Heb. First and third (Hebrews 1:3); He is the express image of his Father's person. "Thy trinity is an old Popish term and we love to keep to sound words, but by trinity I suppose thou means three, and thy own words shall confute thee, thou confesseth we say there is Father, Son, and Holy Ghost, and yet but one God, or one Eternal being or substance in which they all subsist, but thy word distinct is thy own and not the Spirit's, yet to distinguish betwixt Father, Son, and Spirit we deny not; and as for the first of Hebrews it is in another translation rendered the express Image of his substance, for Person is too grosse a word as to express an Eternal and Divine being in, and if thou do hold three distinct substances thou errs in thy judgment, for that were to make three Gods. "Another is not understood of another being of another life or another subsistence, but is understood of another Manifestation or Operation of the same God who subsists in the same Power in which the Father, the Son, and the Spirit subsisteth, as I said unto thee before, another as to distinguish of the Operation and work of the Spirit, and of the Son, we do not refuse; but to make three distinct essences and beings is ignorance and errour, as thou saith, Another is intelligible of the Essence, and so thou hast made three Essences, three Subsistencies, three Persons, and three Gods; but we say there is but One God, and there is three that bear record in Heaven, the Father, the Word, and the Spirit, and these three are one. Now as for Subsistence and Essence, they are unsound words coined of yourselves, from your dark imaginations, in which there is no truth at all, but to cast a mist; Now where the Holy Ghost is called a Person in the Scripture I have never read, and where it is called the hand of the trinity I have heard of before thee, and so thy blind ignorant conclusions and sophistical arguing will have little place with them that are come to know the Teachings with the Spirit, and also keep to a form of sound words, which thou cannot." "You made three Sons of God: the human nature is a son to you, the divine nature is a son, and the whole Christ is a son...All such tritheistic notions are a three-headed illusion of the dragon, which easily crept in among the sophists in the present reign of Antichrist. Or have you not read of the spirit of the dragon, the spirit of the beast, the spirit of the false prophets, three spirits? Those who acknowledge the trinity of the beast are possessed by three spirits of demons. These three spirits incite war against the immaculate Lamb, Jesus Christ (Apoc. 16.) False are all invisible gods of the trinitarian, as false as the gods of the Babylonians. Farewell." "That which I am credibly informed to be the greatest reason for my imprisonment, and that noise of blasphemy, which hath pierced so many ears of late, is, my denying the divinity of Christ, and divesting him of his eternal Godhead, which most busily hath been suggested as well to those in authority, as maliciously insinuated amongst the people, wherefore let me beseech you to be impartial and considerate, in the perusal of my vindication, which being in the fear of the Almighty God, and the simplicity of scripture dialect, presented to you, I hope my innocency will appear beyond ascruple. The Proverbs, which, as most agree intend Christ, the Saviour, speak in this manner: "By me kings reign, and princes decree justice; I [wisdom] lead in the midst of the paths of judgment: I was set up from everlasting" to which Paul's words allude, "Unto them which are called [we preach] Christ the power of God, and the wisdom of God;" from whence I conclude Christ the Saviour to be God; for otherwise God would not be himself, since if Christ be distinct from God, and yet God's power and wisdom, God would be without his own power and wisdom; but inasmuch as it is impossible God's power and wisdom should be distinct or divided from himself, it reasonably follows, that Christ, who is that power and wisdom, is not distinct from God, but entirely that very same God. "Next, the prophets, David and Isaiah, speak thus "The Lord is my light and my salvation. I will give thee an light into the Gentiles;" and speaking to the church, "For the Lord shall be thine everlasting light;" to which the evangelist adds, concerning Christ. Again, "And the city had no need of the sun, for the glory of God did lighten it, and the Lamb [Christ] is the light thereof;" by which the Oneness of the nature of those lights plainly appears; for since God is not God without his own glory, and that his glory lightens, [which it could never do if it were no light] and the Lamb, or Christ, is that very same light, What can follow, but that Christ the light and God the light are One pure and eternal light? Next, from the word Saviour, it is manifest, "I, even I, am the Lord, and beside me there is no Saviour: and thou shalt know no God but me, for there is no Saviour besides me." "And Mary said, "My spirit hath rejoiced in God my Saviour:" and the Samaritans said unto the woman, "Now we know that this is indeed the Christ the Saviour of the world. According to his grace made manifest by the appearing of our Saviour Jesus Christ. Simon Peter to them that have obtained, like precious faith with us, through the righteousness of God, and our Saviour Jesus Christ. For therefore we suffer reproach, because we trust in the living God, who is the Saviour of all men: to the only wise God our Saviour be glory," &c. From which I conclude Christ to be God; for if none can save, or be styled properly a Saviour but God, and yet that Christ is said to save, and properly called a Saviour, it must needs follow, that Christ the Saviour is God. Lastly, "in the beginning was the Word [which sometimes understand for wisdom and divine reason] and the Word was with God, and the Word was God: All things were made by by him, and without him was not anything made that was made. For by him were all things that are in heaven, and that are in earth. He is before all things, and by him all things consist. Upholding all things by the Word of his power," &c. Wherefore I am still confirmed in the belief of Christ the Saviour's divinity; for he that made all things, and by whom they consist and are upheld, because before all things; he was not made, not upheld by another, and consequently is God; now that this Word that was made flesh, or Christ the light, power and wisdom of God, and Saviour of men, hath made all things, is he by whom they only consist and are upheld, because he was before them, is most evident, from the recited passages of scripture; therefore he was not made, nor is he upheld by any other power than his own, and consequently is truly God..."
"The word 'Trinity' is not found in the Bible from Genesis to Revelation. The term 'Three Persons in the Godhead' has no place there. The phrase 'God the Father, God the Son, and God the Holy Ghost' is unscriptural. Tradition has coined these terms and thrust them forth into the religious world and hath obscured the glorious vision of the Mighty God, the Everlasting Father, in the Person of Jesus Christ..."
"In our spirit we have always known but one God; but in our theology we have recognized three. If the Father, Son, and Holy Ghost are three separate Persons, Spirits and Personalities, we have on our hands three separate, distinct Gods. But if Father, Son and Holy Spirit bear God's relationship to mankind, then it can be clearly seen that there is but One God: and that God is manifested in the Person of the Lord Jesus Christ; for God hath declared, 'Thus saith the Lord, the King of Israel, and his Redeemer, the Lord of Hosts; I am the first, and I am the last; and besides me there is no God' (Isa. 44:6.) Jesus, the King of Israel, the Redeemer, declared, 'I am Alpha and Omega, the first and the last...Fear not; I am the first and the last...Fear not; I am he that liveth and was dead, and behold, I am alive forevermore. Amen' (Rev. 1:11, 17, 18.) And in another place He says, 'I am Alpha and Omega, the beginning and the end...he that overcometh shall inherit all things: and I will be his God and he shall be my son' (Rev. 21:6-7.) Here Jesus plainly declares Himself to be God. Compare this with 2 Cor. 6:16-18."